There was a great outcry among Democrats and their liberal media allies on Wednesday when it was announced that President Donald Trump had revoked the security clearance of former CIA Director John Brennan. Brennan, who now works as a paid analyst for NBC and MSNBC, has been a harsh critic of the president and has even accused him of committing “treason” against America. That’s an ironic accusation, given the strong suspicion that Brennan was thoroughly involved in what appears to be a “treasonous” scheme by the Obama administration to spy on, undermine and ultimately overthrow the Trump campaign-turned-presidency. Nevertheless, while the left wails about Brennan’s loss of a security clearance — which has absolutely nothing to do with his “freedom of speech,” and only affects his freedom to leak classified materials — there are plenty who support the move that strips Brennan of his access to sensitive information. The Independent Journal Review noted that one individual who supported the move was author and retired Army Brig. Gen. Anthony Tata, who explained why Brennan was a “clear and present danger” who never should have been granted a security clearance to begin with. “I think it’s the right move by the president. Communist John Brennan never should’ve had a security clearance,” Tata stated on “Fox & Friends” on Thursday. Co-host Brian Kilmeade interjected that Brennan had admitted in the past that he voted for a Communist Party USA candidate in the 1976 presidential election. But Tata wasn’t just talking about Brennan’s politics from decades ago. “You look at what he did in his official capacity … he oversaw the Iran deal and all of the intelligence, he manipulated (Islamic State group) intelligence for President Obama, he was part of the Russian hacking, he was standing down the cyber team to allow the Russia hacking in 2016,” Tata said. “He had a secret meeting in March of 2016 with Russia. He flew to Moscow, and so there is a lot of evidence here. He met with Harry Reid and gave him parts of the unverified, Clinton paid-for dossier,” he continued. Kilmeade interjected again to point out that Reid had stated the impression he received along with the dossier was “go and announce this,” implying that Brennan had utilized Reid to get the unverified dossier out into the public domain. “And then he spied on American citizens and lied in front of Congress about that spying. And question 29 on the security clearance form says ‘have you ever supported overthrowing the U.S. government’ — all you gotta do is look at Brennan’s tweets and he supports the removal of this president, and right there that’s enough evidence to get rid of his clearance,” Tata declared. While Brennan’s loss of security clearance may indeed be “unprecdented,” as the media made abundantly clear in their lamentations, that is true only insofar as he appears to be the first former CIA director to have involved himself in an equally “unprecedented” conspiracy to undermine and overthrow a duly elected president. As was also made clear by the White House on Wednesday, Brennan may be the first high-level former Obama official to be stripped of his security clearance, but he likely won’t be the last. That means they’re also at risk of being stripped of their clearances soon. And good riddance, truth be told. It’s about time. Senate Intelligence Committee Chairman Sen. Richard Burr, R-N.C., sharply rebuked former CIA Director John Brennan on Thursday for his allegation in an Op-Ed this week that the Trump campaign colluded with Russia during the 2016 presidential race. Burr further contended that if Brennan’s claim is purely political with no facts to support it, President Donald Trump was completely justified in pulling his security clearance. Brennan pointed to Trump’s public call in the summer of 2016 for Russia to find his rival Hillary Clinton’s 30,000 missing emails as an indication collusion occurred between the GOP candidate’s campaign and Moscow. The former CIA head further contended that if Trump was willing to make such a public call, the question is what was happening privately. “While I had deep insight into Russian activities during the 2016 election, I now am aware — thanks to the reporting of an open and free press — of many more of the highly suspicious dalliances of some American citizens with people affiliated with the Russian intelligence services,” Brennan wrote. “Mr. Trump’s claims of no collusion are, in a word, hogwash,” he then proclaimed. Brennan concluded his piece with an accusation that Trump’s decision to pull his security clearance was “politically motivated” to protect himself. Burr issued a statement in response to Brennan’s Op-Ed noting that the former CIA director included no firm evidence of collusion in the Intelligence Community Assessment released in early 2017. The North Carolina senator then turned to the other alternative: Brennan’s allegation is purely a political attack. Recently, I was in the market for some new R-12 hoses to refurbish an older AC gauge set when I happened on an advertisement from Amazon featuring all three replacement hoses for about $17+ bucks. It seemed like a good deal except for the long delay in shipping the goods but I wasn’t in any hurry so I thought I’d sign up. Unfortunately, I quickly discovered that Amazon.com doesn’t allow ‘guest purchases’ as does EBAY, its ‘members only’ at Amazon and your order is conditional upon membership acceptance. I received the following confirmation memo Jan 16, sent to me at our sites email address. Thank you for shopping with us. You ordered "Atoplee 3pcs (2500~500)PSI...". We’ll send a confirmation when your item ships. This was the typical automated response however, the next day I received a follow-up email which I expected to be an actual ship date but instead my ‘account’ was frozen! We ask that you not open new accounts as any order you place may be delayed. This makes no sense unless the real purpose of being an Amazon member is to open all of your transactions to government phishers. All the personal 'verification' needed was to PING the card in amount of $1.00 to confirm its validity otherwise the card would be rejected outright. What Amazon is really saying here is that we don't trust you to be who you claim to be without outside confirmation. That's not membership, it's abuse. But what disturbs me most is the Huff Post Blog reporting a $600 million dollar deal Amazon struck with the CIA for cloud services which likely means the CIA has access to all purchases made by Amazon customers. The Blog further reports: ”.. a signer in Cincinnati wrote: "If Amazon chooses to sell out their customers to the CIA, I will never visit their site again. Betrayal shouldn't be the price of convenience.” This certainly goes a long way towards explaining why Amazon would be so interested in ‘confirming’ mine and others customer information. So, now we know what they’re saying here is NOT the real issue. Note that I DIDN’T GIVE permission by FAX or in my telephone conversation with the AMAZON rep to verify anything with my card issuer for ANY REASON. They simply took it upon themselves to contact the bank anyway. That’s uncalled for as Amazon already had the information and acknowledged it with their reply but here’s their moronic response. the card issuer has refused to confirm your name and billing address for your Visa ending in 56. You will not be able to access your account or place orders with us until we verify your information. we restrict access to your billing details to a team of account specialists. your fax or share more information about this issue. You can expect a response from us within 24 hours of sending your fax. after you have arranged for them to grant our request. delayed. We are sorry for any inconvenience this may have caused. BEST BUY technical people are currently doing for the FBI? The customer rep never addressed my reply or indicated why my bank had to confirm my identity. intellectual rag, the Amazon episode begins to make a bit more sense. Trump may be on to something in Donald Trump's war on Jeff Bezos, Amazon and the Washington Post Looks like Amazon.com has been getting a pretty cushy tax break in their rise to economic fame. And of course, we all know the ‘journalistic integrity’ of WAPO as in After the WaPost’s Latest Shot, It’s Time to Call ‘Fake News’ By Its Real Name ‘Weaponized Journalism’ My observation to the WAPO editor on instructions from Jeff Bezos for their news coverage is that company policy (written or otherwise) dictates news coverage just as it would with any other firm subsidiary. Don’t think for a moment that WAPO isn’t looking out for the Amazon billionaire’s interests. Amazon’s request for my credit card statement is clearly ‘over the top’ and BS pure and simple. purchased many things online from EBAY and other suppliers and have never experienced such a request. China supplier. In that case you might want a verifiable customer base to motivate the Chinese. If you’re an Amazon customer get prepared for more invasive scrutiny of your account information, and if you’re not, don’t JOIN!. A Wednesday piece by The New York Times which details the FBI’s investigation into Donald Trump’s 2016 presidential campaign may have revealed more than intended, at least if a Wall Street Journal reporter who has covered the surveillance previously is correct. The Journal’s Kimberley Strassel has written about the investigation in the past. In a piece last week, she posited that the FBI may have used a mole in the Trump campaign, particularly given the Department of Justice’s reluctance to turn over information about the informant to congressional investigators. The Times piece revealed more details about the Trump campaign surveillance operation — called “Crossfire Hurricane” in reference to the Rolling Stones song “Jumpin’ Jack Flash” — and just how extensive it was. While the tenor of the article, which was written by Matt Apuzzo, Adam Goldman and Nicholas Fandos, is overwhelmingly favorable to the FBI and dismisses any claims that the surveillance was politically motivated ,(“I never saw anything that resembled a witch hunt or suggested that the bureau’s approach to the investigation was politically driven,” one DOJ official is quoted as saying) there were a few things buried deep in there that specifically caught Strassel’s attention. In a tweetstorm Wednesday evening, Strassel noted key problems in The Times’ narrative, particularly when the story appeared and significant facts that they glossed over. Strassel first argued that the article was a calculated leak of sorts in an effort to get out ahead of House Intelligence Committee Chairman Devin Nunes and the information that he’s gathering and releasing regarding the FBI’s sources on the Trump investigation. However, she says it proves what Trump was claiming all along: namely, that his campaign was being spied upon. Biggest takeaway: Govt "sources" admit that, indeed, the Obama DOJ and FBI spied on the Trump campaign. Spied. (Tho NYT kindly calls spy an "informant.") NYT slips in confirmation far down in story, and makes it out like it isn't a big deal. It is a very big deal. The story briefly mentions that “one government informant met several times with Mr. Page and Mr. Papadopoulos, current and former officials said. That has become a politically contentious point, with Mr. Trump’s allies questioning whether the FBI was spying on the Trump campaign or trying to entrap campaign officials.” However, if that informant met several times with two low-level Trump campaign officials, one wonders just what his role — if any — in the Trump campaign might have been. It seems somewhat unlikely that a random individual outside the campaign would have had the opportunity to meet with both George Papadopoulos and Carter Page without some suspicion being aroused if the informant didn’t have extremely close ties to the campaign. 4. DOJ/FBI (and its leakers) have shredded what little credibility they have in claiming they cannot comply with subpoena. They are willing to provide details to friendly media, but not Congress? Willing to risk very source they claim to need to protect? Strassel then noted the fact that if the FBI is willing to leak information that makes them look good to media sources, they shouldn’t have any problem complying with the subpoena that the House Intelligence Committee issued. She also pointed out that the FBI had claimed the dossier had little to no influence on the investigation. 5. Back in Dec., NYT assured us it was the Papadopoulos-Downer convo that inspired FBI to launch official counterintelligence operation on July 31, 2016. Which was convenient, since it diminished the role of the dossier. However . . .
6. Now NYT tells us FBI didn't debrief downer until August 2nd. And Nunes says no "official intelligence" from allies was delivered to FBI about that convo prior to July 31. So how did FBI get Downer details? (Political actors?) And what really did inspire the CI investigation? 7. As for whether to believe line that FBI operated soberly/carefully/judiciously in 2016, a main source for this judgment is, um . . .uh . . . Sally Yates. Who was in middle of it all. A bit like asking Putin to reassure that Russia didn't meddle in our election. Sally Yates, for those of you with short memories, was the deputy attorney general under former President Barack Obama. Strassel closed with a shot at the DOJ and James Comey. This is arguably the biggest story in quite some time. We already knew that intelligence had been weaponized by Obama-era apparatchiks to get a FISA court to agree to surveillance and that the Trump dossier had been prepared using money from the Clinton campaign. However, we’re beginning to realize it went deeper than that — and it could have included a mole in the Trump campaign itself. If it did, we need to know. No more of this drip-drip-drip of information specifically designed as a limited hangout. It’s time that the American people are appraised, once and for all, just how far the Obama administration went in using the apparatus of the federal government to infiltrate the campaign of their political adversary. This Is Not A Mosquito! Look closely. Small airborne drones modeled after birds, mosquitos and other insect types are in the planning stage, a new age of surveillance devices that can hide in plain sight for crowd control, tracking criminal suspects and surveilling political protests. As early as 2008 military engineers were already experimenting with the design of insect size drones which can fly and spy on enemies without human risk. The military wants smarter UAVs capable of navigating interior spaces autonomously, i.e. without GPS or remote control. There is strong interest in developing small drones capable of spying virtually anywhere. 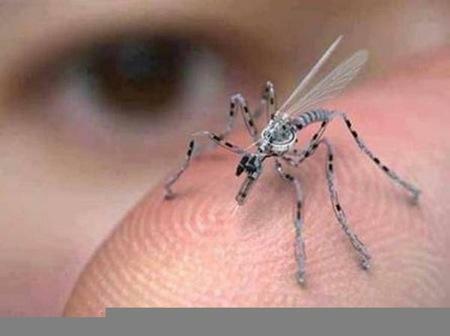 "The picture shown in the story is not a real robot mosquito drone, but simply one such proposed ‘prototype’ that may become reality in future, and perhaps they will also be able to take photographs and DNA samples of people. But as of now, these are only speculations, and not facts in practical." And now you know why our government has requested the law be changed to allow drone surveillance in the United States. The National Defense Authrization Act (NDAA) permits the President to authorize the killing of a citizen anywhere in the world. There is little oversight or laws governing the use of drones, how much less protection would there be for drones you can't readily see?. The ithreat to individual liberty is significant if such devices ever enter into mass production. If histtory is any indication,, the term 'enemies' will ultimately be defined to include unwarranted surveiilance of all who resist the totatlitarian reach of the state. A few weeks ago, I decided to have a look at one of the web visitor data recording companies out there to see what kind of information they could collect.. Motherboard reports that a Princeton study revealed that over 400 companies (so far) record your every keystroke and them transmit it to a third party website. Typical companies providing this service are FullStory, SessionCam, SmartLook, UserReplay, etc. I opted to try SmartLook simply because the ’geniuses’ at Webnode provided a convenient widget to insert their tracking code. It just isn’t enough today that American Intelligence agencies are spying on everyone with their Prism software, but they are partnering with major business and social media like the CIA’s 600 million contract with Amazon .com for cloud access. We already know that Facebook and until recently Twitter provide information to the CIA. The bad news here is that all purchases through Amazon are retained on their cloud servers and the CIA will have access. You can be certain that any cloud service that your application communicates with will be available to the intelligence services as well as a host of unknown third parties because the data is NOT encrypted. It’s far better to get the ‘mark’ to provide personalized data on him or herself to the tracking recorder thinking that he’s browsing anonymously or at least ignored but “…many of these companies have dashboards where clients can playback the recordings they collect. Yandex, Hotjar, and Smartlook’s dashboards run non-encrypted HTTP pages, rather than much more secure, encrypted HTTPS pages.” The biggest liability is that once the data is removed from your site all control is lost, virtually anyone could have access to this data and you’d never know. I was curious to find out just what could be collected by SmartLook. However, I was surprised to find that the actual service is quite haphazard. Either SmartLook is developing their recording software ‘on the fly’ as the saying goes or you really don’t get much on the ‘free’ side. But upgrading the service means you’re paying to have your readers spied on. Fortunately, the SmartLook collected data is not totally accurate or reliable. Primarily because the staff is not well organized, knowledgeable or well versed in English. After adding their code to The Patriot’s header and getting nothing, I contacted SmartLook support where a woman named Sofie informed me by email that “In one case Only in webnode premium you can add code directly to the HTML header of the whole website. In webnode free, you need to install the code in all pages you wish to track.” Anyone, who is remotely conscious or understands the language, knows that free websites don’t have custom registered URLs as we do, ergo, we are a premium user! So this individual is likely responding with canned phrases from the company’s data forum without any understanding of what was conveyed because they can’t communicate beyond an elementary level in English. In another case, two different users known to me personally, one residing in Kansas and the other in Ohio accessed our site but showed the same IP address in the data collection set. Upon questioning one of the support staff as to how this could happen, I was told that “The only explanation is that it was the same person and the two different names appeared because you have wrong code settings.” The company’s help link indicates that if you want to track a particular user, you have to type their email address directly into the tracking code and they give an example case. The SmarLook tracking code is ‘paste-in’ and Webnode provides the widget access so unless you can’t type an address within the two apostrophe markers, you can’t have wrong code settings unless either SmartLook or Webnode made them. Individual email identification is no better as I have seen a whole day of data collection of 6 or more people with the same email but different IP addresses. Guess the user has multiple identities so he or she switches every couple of hours throughout the day. The responses I’ve received from their support staff are disingenuous and you can’t really trust their assessments. After some dickering back and forth with their support personnel to get things working the way SmartLook advertised, I indeed found that I could watch a visitor enter our site and view virtually everything he or she clicked on. This kind of information can and will be abused down the road and It's already happening as "The CBS report suggests in no uncertain terms that the personal information pertaining to millions of Americans collected by one of the World’s largest ad agencies is sold to the CIA." Smartlook claimed their software only retained three days worth of data but that’s because I wasn’t paying them to collect it. Data was collected from approximately Nov 3rd to Nov 24th obviously more than 3 days. There was no data collected beyond Nov 24th, 2017 by their system even though I still had their code installed on the site for several more days. At first, I thought it was yet another glitch but when nothing more was recorded, I removed the code. On Nov. 27th, all archived data subsequently disappeared from the SmartLook control panel or at least was interred somewhere where I couldn’t access it. You can be reasonably certain that it’s still archived there even if I no longer have access to it. UPDATE 12/12/17 Why Have you Stopped Using SmartLook? I will be glad for any feedback, even if it's negative. I received this correspondence from one of the SmartLook co-founders in early December after removing their code from our header. Why was this an issue? Could it be that they wanted me to leave the code installed to keep recording visitor data whether or not I chose to use it? “We're excited to tell you we're migrating all our data to more powerful cloud service (AWS)! Your account included. The process is time-intensive, but we're working hard to complete the migration by the end of next week. Long term benefits for whom? This move simply presents more opportunities for data to be accessed by more persons unknown as it’s unlikely that Smarlook’s new AWS storage is any more secure than Yahoo who experienced a major hack. Though special counsel Robert Mueller has thus far uncovered zero evidence that President Donald Trump colluded with the Russians to affect the outcome of the 2016 presidential election, a far more shocking revelation regarding former President Barack Obama has made its way to the surface. “US investigators wiretapped former Trump campaign chairman Paul Manafort under secret court orders before and after the election, sources tell CNN, an extraordinary step involving a high-ranking campaign official now at the center of the Russia meddling probe,” CNN revealed in a bombshell scoop last week. In other words, “(i)t looks like Obama did spy on Trump, just as he apparently did to me,” she added, referencing an allegation she made several years back that Obama’s Justice Department had attempted to hack into her personal and work computers in 2013. What remains unknown is whether any of this sketchy behavior was actually legal. Attkisson noted, however, that even if these hacks and wiretaps were legal, that doesn’t take away from the shadiness of it all. From targeting conservative organizations via the IRS to trying to force the Little Sisters of the Poor to pay for abortifacients, the Obama administration waged a relentless assault on the American people’s constitutionally guaranteed rights and liberties. Please share this story on Facebook and Twitter and let us know what you think. Overland Park's rental inspection program is on schedule as work proceeds in identifying the city's property managers and other 'slum' landlords. The city's propaganda magazine Overview Spring 2017 reports: "Last Month city staff members began reaching out to landlords of single-family dwellings in an effort to verify that the dwelling is being used as a rental. " The city goes on to reassure residents that ".. this is all part of the initial launch of a new licensing and inspection program that focuses solely on exterior maintenance of residential property (opkansas.org/rentals) beginning July 1, 2017. However what Overview magazine doesn't tell you is that the licensing program is just another means of increasing city revenues so expect licensing fees to creep upward several times each decade. But more importantly Overland Park has paved the way to force redevelopment on the north end of the city. How's that you say? Well for starters, how about fining you right out of your rental? What? Well check out This Indiana Town Wants to Fine a Community Out of Existence on Behalf of Private Developers. "Members of a small, low-income community in Indiana are discovering that state-level protections that make it hard for cities to seize their property may not be enough. When city leaders decide to get into bed with private developers, there are all sorts of ways for cronyism to threaten the property rights of owners. " And there's no question that Overland Park has been in bed with developers for years. But wait, the Indiana article gets better "While eminent domain was supposed to be used solely for public works projects (roads, schools, et cetera), the infamous Kelo v. City of New London Supreme Court decision set a legal precedent allowing governments to use it to hand over property to private developers for big projects." That decision has already been put to good use. Remember the Kansas Speedway? Over 165 homes were seized to build that monstrosity. "The condemnation of homes in Wyandotte County for the Kansas Speedway development was one of the more controversial uses of eminent domain power in Kansas." But Oh, was it rewarding for Wyandotte coffers! : "County officials say the speedway and "Village West" -- the adjoining 400-acre development that includes Cabela's and Nebraska Furniture Mart -- have reinvigorated the local economy, created thousands of new jobs and poured millions of new tax dollars into local coffers." And there you have it, more money for city coffers, to hell with the people and their homes. It's a small price to pay for economic prosperity, etc. The US Supreme Court has sanctioned the seizing of private property for others use in Kelo v New London. But property seizure for other's benefit alone is a nasty pill to swallow but fining owners into oblivion for building code violations, well that's much more palatable. The Indiana article continues: "So property rights-minded citizens might be surprised to hear that the mayor and city officials of Charlestown, Indiana, a rural community with a population of less than 8,000, are trying to arrange to hand over hundreds of homes to a private developer. He's not using eminent domain to do so. Instead, the city stands accused of deliberately finding excuses to burden the community's residents with thousands of dollars of fines that will be waived if they sell their properties to the private developer." Get the drift or am I going too fast for you? Well, what a coincidence, Indiana started with exterior inspections, too: "Beginning in the summer of 2016, the city unleashed a torrent of code enforcement targeted specifically at the Pleasant Ridge neighborhood. City officials began performing exterior inspections of properties in Pleasant Ridge and mailing citations to the owners. So far, this campaign has primarily targeted landlords who own multiple rental properties, rather than smaller landlords and owner-occupied houses." Don't fret, Overland Park will include other properties as soon as it's expedient. Overland Park concocted a rental inspection scheme a number of years back that evicted renters when interior improvements weren't made not unlike Marietta, George's plan: " The City of Marietta enacted a rental-housing inspection ordinance in 2004, requiring landlords to obtain “rental licenses” for all rental properties. To obtain a license, landlords had to hire and pay City-approved “rental housing inspectors” to inspect and certify that properties were in compliance with all housing codes. Nothing in the ordinance, however, required the landlord or the City to obtain the tenant’s consent before conducting the intrusive inspection. Yet, without inspection, no rental license would be issued, and the City Manager could order the property to be vacated." The OP plan was very unpopular and the city abandoned it for the time being. Here's how city inspection theft works. "The citations state that the owner accrues penalties of $50 per violation, per day. Multiple citations are issued per property, which means that a single property will begin accumulating hundreds of dollars in fines each day. The fines can be for things as minor as a torn screen, weeds taller than eight inches or chipped paint. In many cases, the fines begin the day the citation was issued, not the day the owner received it. So owners can easily be on the hook for thousands of dollars in fines before they even receive notice, and the fines continue to accrue until the owner is able to repair the property." Sweet, huh? Overland Park has been fining properties for 8-inch weed height (even if there are as few as 6 weeds per 1/3- acre) since April 2000 often as a consequence of protesting city policies. And now they expand the program to 'exterior' rental inspection which will eventually include the rental Interior as in Minnesota. "Minnesotans have a new reason to remember to empty their dishwashers and keep their bathrooms clean. That’s because the city of Golden Valley is asking the Minnesota Court of Appeals to grant it a warrant to inspect the rental property of Jason and Jacki Wiebesick to check that their tenants are, among other things, maintaining a clean kitchen and a tidy toilet." Yes, people, emptying your dishwasher and maintaining a tidy toilet is tantamount to being a good citizen. The city now has the means to acquire rental property for its developer cronies with out involving eminent domain issues. Here's the real motive driving rental inspections:: "Mayor Bob Hall decided in 2014 that he wanted to get rid of the houses there and replace it with a more upscale planned community with fancier homes and retail options. But he needed to get rid of the houses (and the people within them) first. Starting in 2016, residents and property owners of Pleasant Ridge discovered Charlestown had a nasty tool to try to get rid of them. City officials started looking for any excuse to cite property owners for code violations. When you're looking at low-income neighborhoods full of working people and retirees, there are likely to be plenty." Overland Park's north end is full of low income families, obviously another coincidence to Indiana's program. OP has been looking to force the redevelopment of Metcalf avenue on the north end for some years now and it appears that the rental inspection program may be the ticket. You can bet the city isn't instituting their inspection program merely to provide renters with a better place to live. When you have to have a license to rent or to have a home inspection as a rental condition, you no longer live in a free country. The Most Private Search Engine on the Planet (Hint: It's Not Google) In fact, we here at The Sovereign Society have been telling you about the importance of it for more than 15 years. But along the way, the message became muted... it fell out of vogue and was lost to the new media age of Google, Facebook and iPhones. I will be honest, I thought I was the odd man out for trying to hang on to it. Since June 6, the number of search queries on the DuckDuckGo search engine has doubled. Cryptocat, an Internet chat program has also seen its business double since then. And Tor, an Internet software program, has seen its downloads increase by more than 30% in less than four weeks. The "it" that I am referring to is personal privacy - and the new-found desire for privacy is what's driving all of this new business activity. June 6, 2013 is the day the vast (and frightening) National Security Agency (NSA) domestic spying programs came to light. Since the U.S. government's PRISM surveillance program came to light, we now know that it's possible for the NSA, the FBI and, eventually, the IRS to access the web activity, chat room discussions, emails, phone calls, and text messages of innocent citizens not suspected of committing a crime... and gather them all in government computers without needing to obtain a warrant. Just let that sink in for a moment. Less than eight weeks ago, most of us thought such a thing could never, ever happen in the Land of the Free. But it is happening and it will continue to happen, according to President Obama, who referred to these once-unthinkable violations of our liberties and privacy as "minor intrusions" in our lives. Personally, the PRISM revelations are the best thing that has happened to the U.S. in the last five years. Finally, the old paradigm through which most Americans see "our government" has been shattered. It's like Sleeping Beauty finally being roused from her deep sleep. As a nation, we must not accept - and willingly support - Big Brother's invasions of our privacy. Unlike Google, Bing and Yahoo!, DuckDuckGo is a search engine that does not store personally identifiable information about peoples' search queries on its servers. You can see exactly how your Google search information is saved and sold, thanks to this simple diagram found on DuckDuckGo's website: http://donttrack.us/. Another private third-party search engine is StartPage. When you search with StartPage, they remove all the identifying information from your online query and then submit it anonymously to Google themselves. They get the results and give them to you, keeping your information completely private. Your IP address is never stored... your visit is not logged and they don't place any tracking cookies on your browser. You can keep your intranet chats private by using Cryptocat. This site encrypts all of its users' messages so that notes between you and family, friends, colleagues or employees stay off the radar. What all of these companies, which have all provided customer data to the government, like Facebook, Google and Apple (and many others), realize is that many U.S. citizens still place a premium on their privacy... and you should too, before it's too late. Only 10 years ago, Steven Spielberg's action film Minority Report offered movie audiences a chilling glimpse of a future in which the government and police have a massive citizen data collection apparatus that is pervasive and omnipresent. Well, like it or not, that future is now. Thankfully, there are companies, like those I've mentioned, providing private sector responses to these blatant affronts of our basic freedoms. And more have entered the fray, including TextSecure, a mobile app encryption service, and SpiderOak, a DropBox-like service that can't see the content of user files. I hope that we will let our elected leaders know that spying on its citizens is not acceptable... and that it is no different than what the German government did in World War II. I'm proud to say that we've been way ahead of the curve on matters of liberty, privacy and encroaching government tyranny. And as we've learned of late, the work we do is more important than ever. Law enforcement agencies are increasingly using sophisticated cameras, called "automated license plate readers," or ALPRs, to scan and record the license plates of millions of cars across the country. These cameras, mounted on top of patrol cars and on city streets, can scan up to 1,800 license plate per minute, day or night, allowing one squad car to record more than 14,000 plates during the course of a single shift. Photographing a single license plate one time on a public city street may not seem problematic, but when the data are put into a database, combined with other scans of that same plate on other city streets, and stored forever, it can become very revealing. Information about your location over time can show not only where you live and work, but your political and religious beliefs, your social and sexual habits, your visits to the doctor, and your associations with others. And according to recent research reported in Nature, it's possible to identify 95% of individuals with as few as four randomly selected geospatial data points (location plus time), making location data the ultimate biometric identifiers. To better gauge the real threat to privacy posed by ALPRs, the Electronic Frontier Foundation and the ACLU of Southern California asked the LAPD and LA Sheriff's Department for information on their systems, including their policies on retaining and sharing information and all the license plate data each department collected over the course of a single week in 2012. After both agencies refused to release most of the records we asked for, we sued. We hope to get access to these data, both to show just how many data the agencies are collecting and to show how revealing they can be. Automated license plate readers are often touted as an easy way to find stolen cars -- the system checks a scanned plate against a database of stolen or wanted cars and can instantly identify a hit, allowing officers to set up a sting to recover the car and catch the thief. But even when there's no match in the database and no reason to think a car is stolen or involved in a crime, police keep the data. According to the LA Weekly, the LAPD and LASD together already have collected more than 160 million "data points" (license plates plus time, date, and exact location) in the greater LA area -- that's more than 20 hits for each of the more than 7 million vehicles registered in LA County. That's a ton of data, but it's not all -- law enforcement officers also have access to private databases containing hundreds of millions of plates and their coordinates collected by "repo" men. Law enforcement agencies claim that ALPR systems are no different from an officer recording license plate, time and location information by hand. They also argue the data don't warrant any privacy protections because we drive our cars around in public. However, as five justices of the Supreme Court recognized last year in U.S. v. Jones, a case involving GPS tracking, the ease of data collection and the low cost of data storage make technological surveillance solutions such as GPS or ALPR very different from techniques used in the past. Police are open about their desire to record the movements of every car in case it might one day prove valuable. In 2008, LAPD police Chief Charlie Beck (then the agency's chief of detectives) told GovTech magazine that ALPRs have "unlimited potential" as an investigative tool. "It's always going to be great for the black-and-white to be driving down the street and find stolen cars rolling around... But the real value comes from the long-term investigative uses of being able to track vehicles -- where they've been and what they've been doing -- and tie that to crimes that have occurred or that will occur." But amassing data on the movements of law-abiding residents poses a real threat to privacy, while the benefit to public safety is speculative, at best. In light of privacy concerns, states including Maine, New Jersey, and Virginia have limited the use of ALPRs, and New Hampshire has banned them outright. Even the International Association of Chiefs of Police has issued a report recognizing that "recording driving habits" could raise First Amendment concerns because cameras could record "vehicles parked at addiction-counseling meetings, doctors' offices, health clinics, or even staging areas for political protests." But even if ALPRs are permitted, there are still common-sense limits that can allow the public safety benefits of ALPRs while preventing the wholesale tracking of every resident's movements. Police can, and should, treat location information from ALPRs like other sensitive information -- they should retain it no longer than necessary to determine if it might be relevant to a crime, and should get a warrant to keep it any longer. They should limit who can access it and who they can share it with. And they should put oversight in place to ensure these limits are followed. Unfortunately, efforts to impose reasonable limits on ALPR tracking in California have failed so far. Last year, legislation that would have limited private and law enforcement retention of ALPR data to 60 days -- a limit currently in effect for the California Highway Patrol -- and restricted sharing between law enforcement and private companies failed after vigorous opposition from law enforcement. 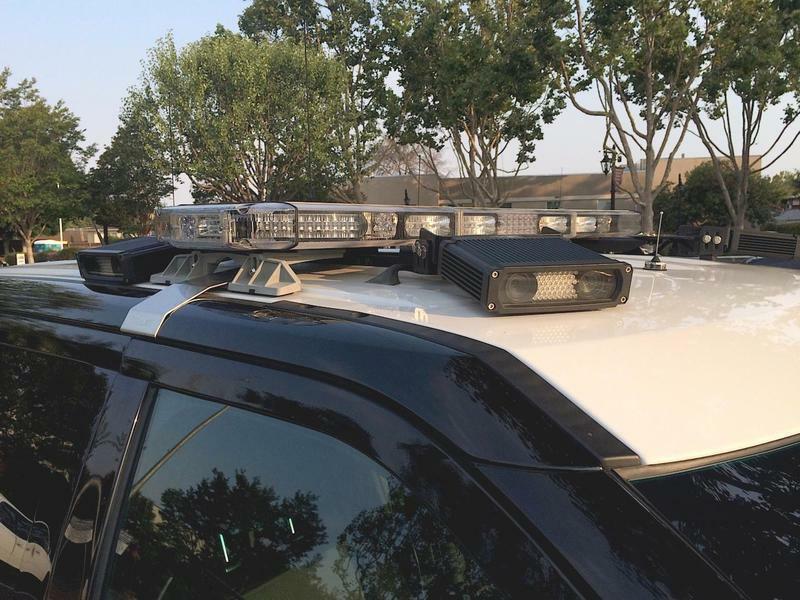 In California, law enforcement agencies remain free to set their own policies on the use and retention of ALPR data, or to have no policy at all. Some have asked why we would seek public disclosure of the actual license plate data collected by the police -- location-based data that we think is private. But we asked specifically for a narrow slice of data -- just a week's worth -- to demonstrate how invasive the technology is. Having the data will allow us to see how frequently some plates have been scanned; where and when, specifically, the cops are scanning plates; and just how many plates can be collected in a large metropolitan area over the course of a single week. Actual data will reveal whether ALPRs are deployed primarily in particular areas of Los Angeles and whether some communities might, therefore, be much more heavily tracked than others. If these data are too private to give a week's worth to the public to help inform us how the technology is being used, then isn't it too private to let the police amass years' worth of data without a warrant? After the Boston Marathon bombings, many have argued that the government should take advantage of surveillance technology to collect more data, rather than less. But we should not so readily give up the very freedoms that terrorists seek to destroy. We should recognize just how revealing ALPR data are and not be afraid to push our police and legislators for sensible limits to protect our basic right to privacy. Daniel Solove, author of Nothing to Hide: The False Tradeoff Between Privacy and Security, believes these arguments, and many like them, are flawed. They are based on mistaken views about what it means to protect privacy and the costs and benefits of doing so. Terrorist attacks, while horrific, claim far fewer lives each year than suicide in the U.S. Nearly 30,000 Americans take their own lives each year. According to The Guardian, 3,467 American lives have been lost in terrorist attacks since 1970; 3,003 of those were in 2001. A version of this article was originally posted here.